The new division offers customers windscreen installation at the new service centre, as well as many UK addresses. Customers can also opt for a supply-only service and the new windscreen team will even speak to insurers on behalf of customers. Pictured above - Annabel Edwards second from the left with the Edwards family. Outside the Erwin Hymer Centre in Stafford. 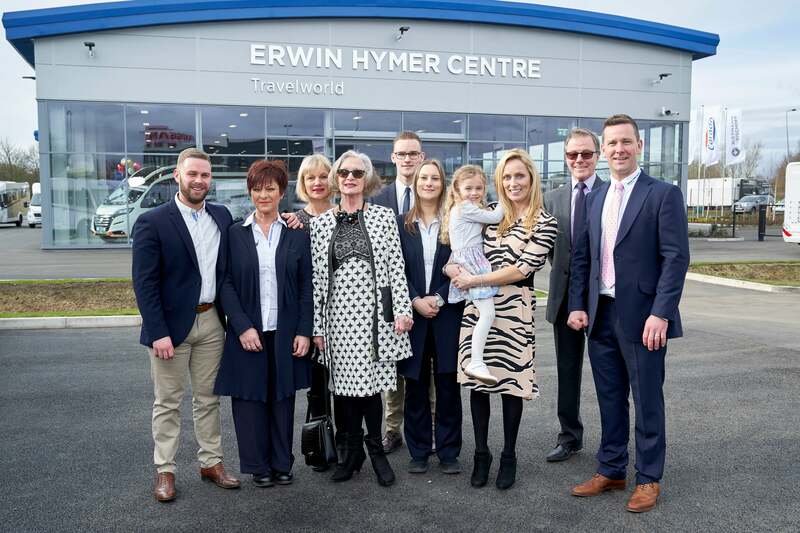 The opening of the new 5.5-acre site in February complete with 20 bay service centre, Class 7 MOT bay and impressive customer showroom and lounge, has been a further driver behind the launch of the new division which further enables the concept of a one-stop-shop for the premium brand motorhome dealership. Coupled with Annabel’s decades of unrivalled experience encompassing the installation and supply of American RV, Hymer, N+B, Dethleffs and Carado screens and side glass, the new set up is the next intuitive step for the company.